Private equity (PE) investment in the realty sector jumped over two-fold to Rs 15,410 crore last year, the highest since 2008, signalling a renewed interest by domestic and global investors in the Indian real estate, according to property consultant Cushman & Wakefield. 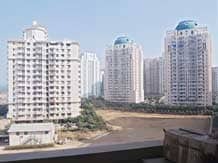 In 2013, the PE investments in the real estate sector stood at Rs 7,360 crore. Commercial office assets contributed 53% while housing segment had a share of 39% to the total PE investment in 2014. Location-wise, Delhi-NCR property market witnessed the highest PE investment of Rs 5,910 crore during 2014, followed by Mumbai at Rs 4,680 crore. "Total inflows in the sector for 2014 were Rs 15,410 crore ($2.5 billion). This was more than double the investment levels recorded in 2013 (Rs 7,360 crore ($1.2 billion). "This is also the highest level of investment since 2008 (Rs 17,440 crore/ $4 billion), indicating renewed interests among domestic and foreign investors for the Indian real estate sector," C&W said in a report on PE investments in real estate. The consultant noted that increase in investment during 2014 was due to high level of interest in leased office assets with a number of foreign investors acquiring IT parks and IT-SEZs. Investment activity in under-construction projects in the residential segment also improved significantly. C&W Executive Managing Director South Asia Sanjay Dutt said: "Aggressive acquisitions by foreign funds in the Indian real estate assets during 2014 is an indicator of renewed interest in the sector." "With increasing capital requirements of the Indian real estate sector and in anticipation of improving macro-economic conditions, private equity funds are likely to invest even more funds in the next few years," he added. Total value of PE investments in the office segment was recorded at Rs 8,110 crore, which is more than double the investments in 2013, while housing segment saw PE investment of Rs 6,060 crore during last year. Mixed-use (4%), hospitality (2%) and retail (2%) assets were the other contributors to the overall investment activity in 2014. "Total number of deals in 2014 increased substantially to 73, compared to 40 in the previous year. Average deal size in 2014 also increased by 15% from the previous year to Rs 210 crore," C&W said. "Leased commercial office assets with high occupancy have witnessed significant demand from investors due to the attractive yields and expected capital value appreciation," C&W said. PE funds have emerged as an important source to meet funding requirements in residential segment as well due to liquidity crunch faced by the developers on account of subdued sales and highly restricted access to debt funding.